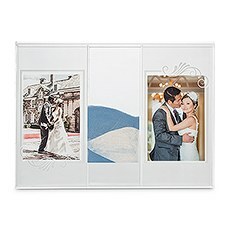 Add a unique touch to your wedding that really defines your love and dedication to one another with a unity sand ceremony. 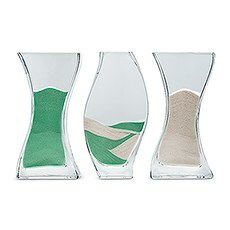 This symbolic gesture allows the couple to each pour a different colour of sand to a glass jar, merging the two colours and creating a keepsake of your wedding that you can cherish and display in your home forever. This meaningful jar can also be added to later in life, such as after the birth of a child or the addition of a pet. 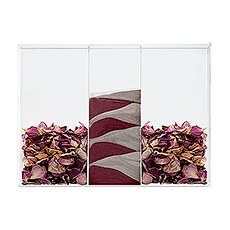 If you want to add another element to your wedding's ceremony that symbolizes your love for one another and your joining together as one, a unity sand ceremony is a beautiful gesture that your guests will love to watch.Weddingstar carries many different types of unity sand ceremony kits that make it easy and beautiful to hold a sand ceremony during your wedding ceremony. 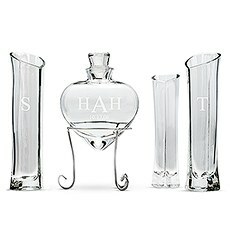 These kits come with one ornate, engraved central jar that will ultimately hold the sand, as well as the two individual jars that the bride and groom will pour their sand out of. 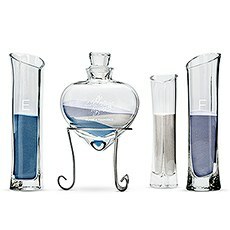 Some kits also come with a third bottle to allow for another meaningful person to pour their sand into the mix. 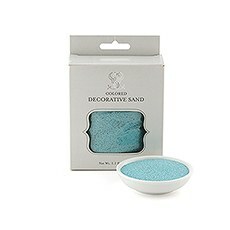 Weddingstar also offers the decorative coloured sand in your choice of colours to coordinate with your wedding's theme.Weddingstar offers sand ceremony kits that are as simple or as intricate as you prefer. 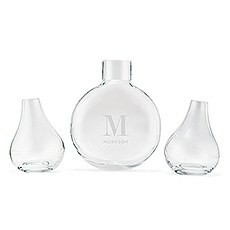 Our sleek, modern kits feature elongated bottles and matching clear glass vases for pouring, while more ornate sets feature heart-shaped central bottles with elevated metal stands and decorative side vases. All of these kits can be customized with your initials or names etched on the central vase, as well as a monogram or a simple design.